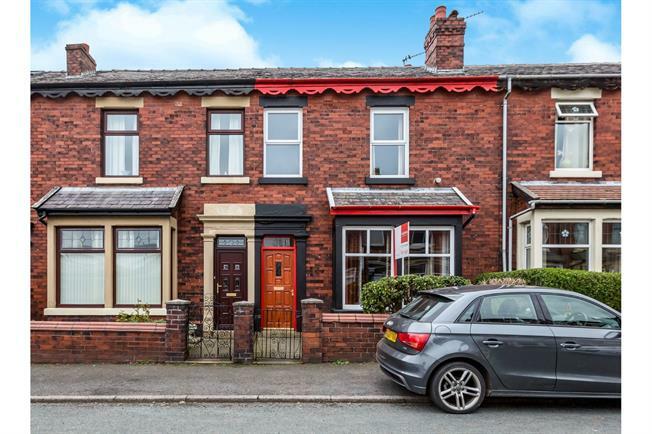 4 Bedroom Terraced House For Sale in Chorley for Asking Price £128,500. Garden fronted mid terrace with spacious living accommodation throughout, this is a must view property to fully appreciate the living space on offer. Internally, to the ground floor the property briefly comprises of an entrance porch, hallway with staircase, two reception rooms, recently fitted dining kitchen, utility and downstairs WC. To the first floor there are four bedrooms and a recently fitted shower room. Externally, to the front there is a garden and to the rear an enclosed yard. No chain delay.